Welcome to the Dental Center of Mesa! Home to our caring dental professionals and the many patients whom we count as part of our family. The motto of Dr. Jonathan Kalika and his associate dentists is “do it with love or don’t do it at all,” which is why the relationships we build are the foundation of our practice. As a family practice, our priority is to provide a gentle first impression to our youngest patients and a relaxing and secure experience for our older patients. We take concerns like dental anxiety, affordability, and patient preference seriously, and we work hand-in-hand with you so you receive personalized and outstanding care. Dr. Kalika is caring and takes pride in the dental treatments he offers. Drs. Kalika also provide dental treatment with CEREC using high quality materials like e.max and zirconia crowns. Whatever your oral health needs may be, Dental Center of Mesa is a family friendly environment, where you can feel confident in the quality, compassion, and expertise of our care. Whether you need help preserving, restoring, or enhancing your smile, Dr. Jonathan Kalika is here to listen to you and provide solutions. Making every effort to maintain optimal oral health for our patients of all ages with comprehensive exams, professional cleaning treatments, x-rays, oral cancer screenings, and patient education. Combining modern techniques with a gentle approach to halt the progression of gum disease and maintain the dental structure of the mouth. 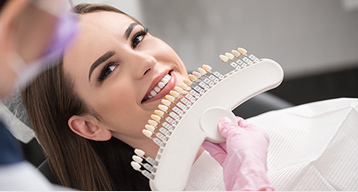 Offering Opalescence® teeth whitening, inlays, onlays, porcelain crowns and veneers for those looking to improve the appearance of their smile. 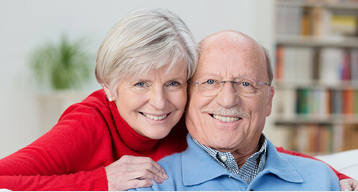 Renewing the smiles of patients with crowns, bridges, dentures, extractions, root canal therapy, composite fillings and implants. Providing emergency treatment for lost fillings or crowns, teeth that have cracked or those that have been dislodged. In the case of a dental emergency prompt treatment is almost always required to alleviate pain and to ensure the teeth have the best possible chance of survival. We have been going to Dr Kalika and the Dental Center for years. When I had an emergency he took care of the problem immediately and with great care. We highly recommend Dr Kalika. Went for a quick filling repair and discovered a root canal was needed. A couple hours later the procedure was done. The staff squeezed me into the schedule and stayed past their work shift to accommodate the needs. So happy that I was able to get a crown on my tooth in one visit and be done! Very fast and efficient!